Medical aid schemes in South Africa benefit financially when their members are fit and healthy. Claims are lower, solvency ratios are on the up and up, and the administrative burden is a little less intense. As a result, the big four open medical schemes in the country – Discovery Health, Momentum, Fedhealth and Bonitas – have designed, or subscribe to, value-added rewards programmes that offer cash back and discount deals based on members' health screenings and activity rates. To encourage us to get off the couch and into action mode, all the prominent rewards programmes offer gym benefits. You can cash in on cut-price monthly subscriptions and, in some cases, real money rewards. Join Momentum Health’s optional rewards programme and you’ll benefit from a fixed 25% discount on your gym membership. You don’t have to visit the gym a specified number of times per month or per year to enjoy reduced fees at Virgin Active or Planet Fitness studios countrywide. There’s no gym activation or access card fee, and you can earn up to R12k back in HealthRewards. The cash back is paid into your HealthSaver account, or if you so prefer, your bank account. You can boost your rewards payback by tracking your outdoor activities with supported tracking devices or apps. Participating in a cycle tour, marathon or other major events will also do the trick. 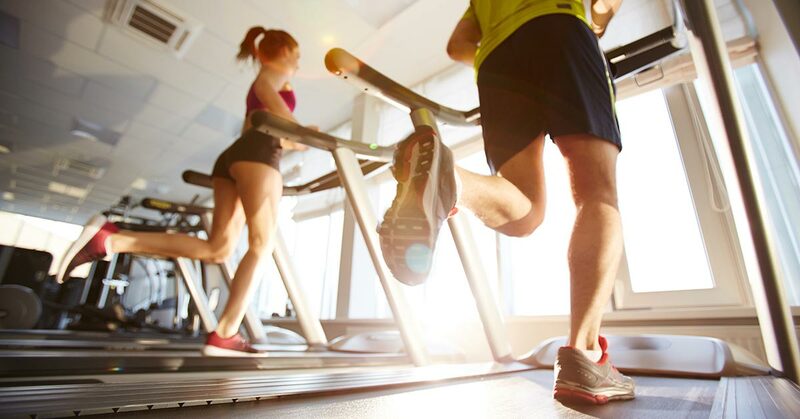 As a Discovery Vitality member, you can save up to 75% of your Virgin Active and Planet Fitness gym fees, provided you workout at least 36 times a year. You’ll have to cover the once-off fees as outlined in the fact box above. Adult and child dependents qualify for 50% and 30% discounted gym fees, respectively, at Virgin Active. At Planet Fitness your kids can exercise for free. If the ladies-only weight-loss program at Curves is what you’re after, there’s up to 100% discount on the joining fee. You will, however, be liable for the monthly subscription. Notwithstanding your choice of gym, you’ll automatically earn 100 Vitality points for each workout, capped at 30 000 per year. As a member of Fedhealth or Bonitas medical aid schemes, you can subscribe to the Sanlam Reality rewards programme. You’ll enjoy a gym benefit at Virgin Active that’s structured in such a way that the more you exercise the greater the cash rewards. Visit the gym 6 to 11 times in a month and you’ll get 40% back, whereas 12 plus monthly workouts generates 60% off the monthly fee. You can earn up to R450 per month; a real money reward that’s paid directly into your bank account. At Planet Fitness you’ll benefit from reduced gym fees of up to 80%. Your monthly fee is calculated according to what the gym charges, and a qualifying discount based on your medical aid option. The maximum you’ll get back in cash each month is R450. To benefit from these gym fee freebies, you have to be a signed up member of one of the top medical aid schemes in South Africa. Contact us at IFC for objective advice on the best plan for your needs, based on your budget.